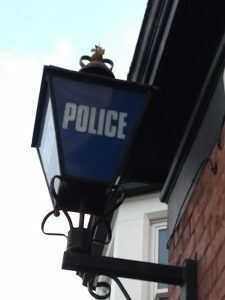 Cllr Graham Greenhalgh has spoken of his anger at local schoolchildren being attacked, beaten up and mugged in recent weeks, as has been widely reported on social media. “It is absolutely disgraceful that in an area like ours, our children can’t feel safe around the villages. Children have been hit, had bikes, phones and other items stolen. We need to get to grips with this, and quickly. Surely you’re not hinting that it’s only “absolutely disgraceful” for children in reasonably affluent, middle class areas to be robbed and/or assaulted? Perhaps just a poor choice of words, hopefully. Surely you’re not hinting that we live in an “affluent, middle class area” John? Certainly more than a hint, John. I make my comparision with, say, the Reddish and Brinnington wards and, of course, our neighbours in much of Wythenshawe. A quick look at the online data from the last census documents the stark economic differences between our area and the less well off wards in Stockport. But my point was that police resources should be directed on the basis of where the crime is and not on the basis of the sociological make-up of an area. I hope that Graham’s comment was NOT to suggest otherwise. On Friday afternoon I was in Scholes Park with my 10 and 7 year old. A young 15 year old boy came running over visibly shaken and scared for his life. He had been robbed by three lads.. With a HAMMER! I couldn’t believe it. The offenders ran off, but not far. I could see them on the train tracks. When they came back onto the field I chased them off. Earlier in the week 3 lads attempted to steal my bike. Its very obvious where these “people” are coming from, the attacks are an increasing problem. But, surely, if a few plain clothed officers walking their dogs for a few weeks in the area… This would be enough to catch this foul element? I waited in the park for a good 20 minutes after calling the police… Didn’t see a single officer! In days gone by the local resident beat man would sort that problem.